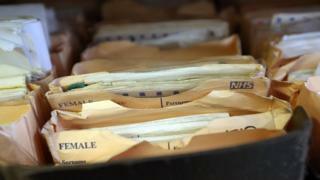 Some struggling GP surgeries in England will be allowed to fail and close, according to a leaked document. A spokesman for the British Medical Association said it was "unacceptable" that some NHS managers believed that some GP practices would be left to close. These are often practices rated by regulators as "inadequate" or "requiring improvement". It comes as media reports suggest much of a special fund to help struggling GP surgeries has not yet been handed out more than a year after it was unveiled. In June 2015, Health Secretary Jeremy Hunt announced a £10m investment in GP practices in England which were deemed to be vulnerable. This was formally launched by NHS England later in the year. But last week, the medical publication Pulse reported that barely any of the fund had reached GPs. Managers administering the fund in each area were said to be still identifying which vulnerable practices would qualify for the support. NHS England did not deny the report, though a source said the organisation was "working through its local teams to ensure the funding available through the vulnerable practice programme is fully committed to named individual practices by the end of October". Around 800 out of a total of 8,000 practices are deemed by NHS England to be in the vulnerable category. The criteria include a high number of patients per GP and an "inadequate" or "requires improvement" rating by the regulator, the CQC. NHS chiefs said the aim was to provide support for practices under pressure and to ensure patients had continued access to high quality care. In April 2016, NHS England announced an extra £16m for this year for a so-called "practice resilience programme", with another £24m in subsequent years. This pool of money was also aimed at shoring up struggling practices and was part of the GP Practice Forward View unveiled by the head of NHS England Simon Stevens. But a letter sent by Paul Twomey, medical director of the NHS England North Yorkshire and Humber area team, to local GPs and health officials in August suggests a harder line stance. In it he says: "The message we need to communicate to general practice is the GP Practice Forward View must be about transformation and in that sense is not like a pilot." He goes on to express his belief that local health leaders will understand that "vulnerable practices must either transform and deliver a quality service or be allowed to fail and wither by the system. We are no longer in a position to continue supporting practices irrespective of their willingness or ability as a provider to transform appropriately." Dr Richard Vautrey from the British Medical Association's GP committee said this approach was unacceptable. He called on the government to deliver the funding immediately and "deter a mindset amongst managers that some GP practices can be allowed to disappear". An NHS England spokesperson said: "Rising patient demand is placing GPs under more pressure and that is why we are reversing the historic under-investment in general practice through a wide-ranging action plan, backed with half a billion pounds to support struggling practices. "This includes a four-year, £40m programme for helping the GP surgeries facing the most difficulties and further practical measures to stabilise general practice for the future." References to surgeries and practices being "allowed to fail" comes at a sensitive time in the debate about the state of NHS primary care in England. There has been a steady stream of surgery closures and recruitment problems. GPs complain of a growing and sometimes intolerable workload. Last month 2,000 patients were left without a GP after a surgery was closed in Nottingham following an "inadequate" regulatory rating. They were advised to contact other surgeries nearby. In July, an Oxfordshire doctor's surgery announced it would close because it claimed changes to the national GP contract made it "financially unviable" and two partners were due to retire. This week, a North Yorkshire practice said it would close in the New Year. NHS England, while promising to boost the share of the overall NHS budget going to general practice, has encouraged doctors to pool resources by forming "super-partnerships" and federations. Improving out-of-hours access and working more closely with community health services are also on the task list for GP groups. The underlying message is that more efficient ways of delivering care at a time of stretched resources are required. NHS chiefs are under pressure to find efficiency savings and a multitude of smaller practices might not be the best use of resources. But the danger is that a process of modernisation and consolidation involving surgery closures could leave patients in some areas unable to get a GP appointment.